This study concentrates on providing the rationale and identifying potential ‘dimensions’ for certain governmental CCB instruments, and what tasks they should cover. 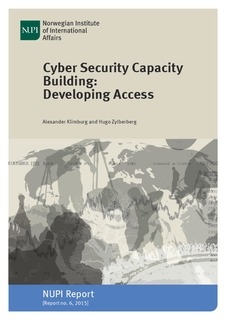 The ‘methodological’ dimension includes developing frameworks for assessing and delivering CCB programmes, but also extends to general frameworks for supporting a country’s national cyber security strategy as well as the basic research needed. The ‘technical’ dimension is concentrated on the need to train and support the Computer Emergency Response Team (CERT) and law enforcement capabilities of partner countries. In fact, such initiatives had already been ongoing for many years before the term ‘CCB’ was coined. Thirdly, the existence of ‘infrastructure’ development programmes has long been a feature of international development, albeit without much focus on security concerns. Fourthly, the instrument of overall ‘budgetary support’ can be used for directly funding partner countries’ operational expenses in issues related to cyber security over a prolonged period.